After investing in gold and silver coins and bullion, the next step is finding somewhere to store it. You can either take physical possesion of the gold, or have someone store it for you. That is what a precious metal depository does, safely and securely. Unlike when storing your gold in a bank’s safe deposit box, a depository specializes in nothing but precious metal storage. Depositories are specialized storage services serving as a custodian for investors’ physical gold and silver bullion. Their systems are designed for the ultimate protection of your investment. Depositories store gold, silver, platinum, and palladium coins and bullion in secure, specialized vaults. Depositories are extremely safe, with security features designed to protect your precious metal investment. Assets held in custody by a precious metal depository are often monitored 24/7 with digital cameras, metal detectors, and other security devices. If you plan to store your investment in a depository, make sure that you understand whether the assets are considered a deposit, or are held “in custody” off the depository’s balance sheet. 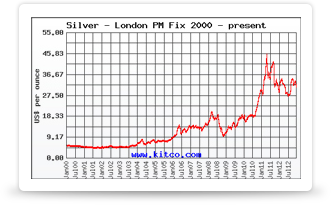 If your precious metals are on the depository’s balance sheet, they could be subject to the depository’s creditors. It is safest if they are held “in custody;” most depositories have adopted this practice. Another advantage of storing gold in a depository is that they are accustomed to storing significant amounts of precious metals. Once you have built up your investment, you may not feel safe sleeping with it located in a safe on your property. The coins may be too bulky for a bank deposit box to contain the entire collection. However, a depository can easily handle any amount of precious metal you may own. The downside of storing your gold in a depository is that it requires a monthly or annual fee. This fee is typically charged in basis points, with 100 basis points equal to 1 percent of the market value of the precious metals in the account. On the other hand, it is possible that storing gold in a depository can save you money. For some investors, it is seen as a way to save on sales taxes. Many gold depositories are located in Delaware and other states which do not charge sales tax on bullion purchases. By having your gold shipped directly to a depository, you may be able to avoid paying your state’s sales tax on gold. Another downside is access. When storing your precious metal assets at home, you can be assured that they will be accessible in case of emergency. Many investors prefer to take personal possession of their precious metals, particularly if they invest in precious metals because they anticipate a currency collapse necessitating the use of precious metals to buy everyday necessities. Meanwhile, it may be more difficult to access gold stored offsite in a depository that may be across the state or even across the country. Though the slight delay caused by shipping may not seem important now, if the price of gold changes dramatically and you wish to sell your investment, or an economic collapse necessitates the immediate use of your gold supplies, this delay may become unacceptable.